This entry was posted on Tuesday, January 19th, 2016 at 3:32 pm. You all may remember this post where I announced I was a part-time online contributor for Horse & Style Magazine. A few weeks ago, I became a part-time print contributor, and I am so excited! My first article was published last fall – it was a review of Ralph Lauren’s restaurant, The Polo Bar, which I will publish here later this week. 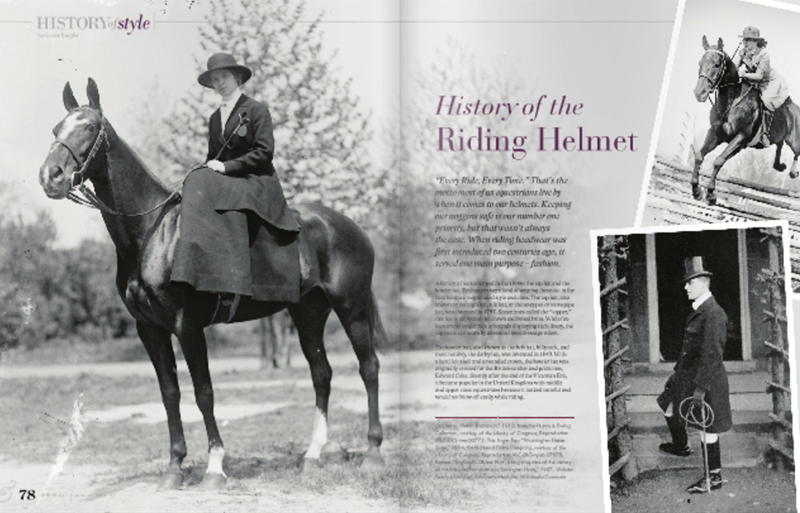 My second article just came out with our latest issue; it’s entitled, “The History of the Riding Helmet.” I had to do quite a bit of research for this one, and I found it all to be very informative. I’ve been tasked with another history article next – this time, “The History of the Riding Jacket.” Fun! 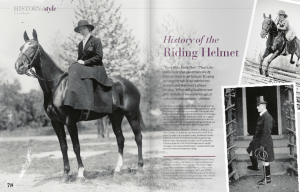 The riding helmet article can be found in the magazine, of course, but online as well. It’s on page 78. Enjoy! !